MI6 tracks the success of 'SPECTRE' around the world with box-office reports from every corner of 007's global release. Box-office figures are updated periodically and may include industry estimates. Click here for opening weekend figures by country. Week Commencing 26th October (Premiere): Unusually for the James Bond series, 'SPECTRE' opened on a Monday night, the same day as the Royal world premiere held in London. That gave the 24th 007 adventure a full 7 day opening in the UK, and it smashed the UK's opening week record with a haul of £41,299,090 ($62.1m), almost doubling the previous record holder, 'Harry Potter and the Prisoner of Azkaban's total of £23.88m. It opened at 647 cinemas and on 2,500 screens, making it the widest release of all time in the UK and Ireland. 'SPECTRE' also set a new IMAX record, recording the highest per-location average in IMAX history with and average of $105,000 in 47 IMAX locations. Weekend Commencing 30th October (Week 1): After the UK, the film opened in European territories and broke opening weekend records. In the Netherlands, SPECTRE took in 3.3 million Euro ($3.7m). Finland took in 2.35 million Euro ($2.63m), and Norway 24.4 million krone ($2.88m). Denmark saw another record haul of 28.1 million krone ($4.21m). Rounding out the Scandinavian countries, Sweden took in 24.95 million krone ($2.97m). Unlike 'Skyfall' that opened to no new competition, 'SPECTRE' is head to head against the new animated release of 'Peanuts The Movie', which expects to earn $40m against Bond. The next serious competition arrives on November 20th with the final part of the 'Hunger Games' series. Not surprisingly, 'SPECTRE' maintained its #1 spot at the international box office with a haul of $117.8m from 78 countries in its second week. The UK dropped only 29% from its record breaking first week and added $21.3m for a running British total of $100.2m. 'SPECTRE' is out gunning 'Skyfall' in its opening weeks £65.5m versus £61.6m in 2012. Combined with the estimated $70.4m from its 'domestic' debut, that puts the 'SPECTRE' worldwide total at approximately $300m in just two weeks. 'SPECTRE' is still to open in significant countries such as South Korea, Japan, France, Australia and - perhaps most importantly - China. This weekend, 'SPECTRE' outperformed in 'Skyfall' in Mexico (where it took in $4.5 million, more than double the take of Skyfall, which released on a holiday), Brazil ($2.9 million), Russia ($5.8 million), Belgium ($2.4 million including previews), Austria ($2.6 million including previews), Hong Kong ($2.4 million), Malaysia ($2.3 million), Poland ($3.1 million), Portugal ($871K), Slovakia ($425K), and Bulgaria ($219K), and performed on par with Skyfall in Germany ($20.1M for the weekend, including previews and a new record for the biggest Saturday of all time), Italy ($5.7 million), Switzerland ($4.1 million including previews), Spain ($3.3 million), Taiwan ($2.6 million), and Singapore ($1.8 million). The film is also holding extremely well in the six markets in which it opened last weekend. In the Netherlands, the film fell by just 10% to $3.3 million, with a cume of $8.4 million, 3% ahead of Skyfall in the same number of days. The four Nordic region countries - Denmark ($2.7 million weekend, $8.2 million cume), Finland ($1.4 million weekend, $4.9 million cume), Norway ($1.1 million weekend, $5.3 million cume), and Sweden ($2.2 million weekend, $7.0 million cume) - all have new cumes that are running ahead of those of Skyfall in their territories in local currency. Weekend Commencing 13th November (Week 3): Despite a less than expected opening weekend for 'SPECTRE' at the US box office, the hold over has proven strong for the 24th James Bond film. 'SPECTRE' retained its #1 spot with an estimated weekend haul of $33.7m, a drop of 52% from opening weekend and retaining all 3929 screens. IMAX screenings made up $3.8m of the weekend. Its 10 day North America running total now stands at $129m with box office holds appear to be stronger on the East coast and Canada. Rentrak's PostTrack shows audiences for 'SPECTRE' are 59% male with 72% of them over 25. 77% of the female audience are grading the film as excellent or very good, which beats the male word of mouth at 71%. James Bond has never been bigger in China. 'SPECTRE' enjoyed an estimated $48m opening weekend. That smashes the previous outing 'Skyfall' which racked up a still impressive $34.2m. 'Skyfall' went on to earn $59m in China, a total that is sure to be blown away by 'SPECTRE'. Once the weekend tallies are confirmed, 'SPECTRE' will claim the biggest opening weekend of all time and the biggest opening three days ever for a 2D Western film. By the end of Friday, the film had already grabbed $15m and already claimed the biggest Friday opening all of time for any 2D Western film, the top November opening day of all time, the best Bond opening ever, and a personal best for distributor Sony. EON and Sony have been very focused on China this go around. Daniel Craig joined Alibaba founder Jack Ma in a live national broadcast to kick off Singles Day, the country's biggest online shopping day, which was seen by over 500, viewers. Digital partnerships in China included WeChat, Weibo, and 1905. To take the sting out of the release of the final part of the 'Hunger Games' franchise on November 20th, an entire episode of talk show 'Day Day Up' will be devoted entirely to 'SPECTRE' and will reach over 70m viewers and more online. This is the first time a foreign film has been the dedicated theme of the show. Before the premiere this week, Craig, Seydoux, and producer Barbara Broccoli hosted a huge publicity tour. The premiere itself was streamed online to a large national audience. Before the film opened, Seydoux and Broccoli took part in a special Apple Store event with a Q&A that was streamed to over 23m. There were also were visits to shows with some of the biggest ratings in China, including 'The Best' talk show which preceded a broadcast of 'Quantum Of Solace'. 'SPECTRE' held its lead throughout its international territories in its third week of release and added another $152.6m to its haul - a 30% increase on its second week. It earned that sum over 33,565 in 91 countries. That figure was boosted by a record Chinese opening along with 13 other new territories including Australia and Korea. Sony is not reporting the box office from France due to the terrorist events on Friday, but local reports on Wednesday said it was set the break the all time opening weekend with 850,000 tickets sold. Opening weekends from new territories included: Australia - $8.7m from 610 screens, Korea - $8.2m from 1,100 screens, New Zealand - $1.3 from 136 screens. Back in Bond's homeland, 'SPECTRE' is already the 3rd highest grossing film of all time. It dropped just 36% and earned another $13.1m from 2,100 screens, bringing its running total for $121m. Elsewhere in Europe, Germany fell 26% from opening week to earn $13.3m to a total of $38.7m. Italy's total stands at $10m, Russia at $10.7m (artificially low due to the strong US dollar exchange rate - audiences have been bigger than Skyfall), the Netherlands at $11.8m, Spain at $5.6m, Denmark at $10.5m (the highest grossing film of the year), Sweden at $9.5m, Norway at $7.4m, Finland at $6.3m, Poland at $6.5m (smashing 'Skyfall' in audience numbers), and Portugal at $1.7m. In Latin America, 'SPECTRE' has earning $8.3m in Mexico (already beating the 'Skyfall' total), and $5.3m in Brazil. 'SPECTRE' has earned $413.1m from it's 'international' release in just three weeks. Almost 10% of the take, $40m, has been earned on IMAX, which added another $9m to the total this weekend. 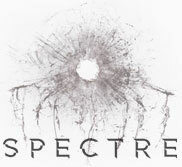 Only three territories are left to debut 'SPECTRE': India, South Africa and Japan. Combined, they should have a $10m opening. Weekend Commencing 20th November (Week 4): 'SPECTRE' dropped an 55% in its third weekend at the US and Canada box-office for a three-day take of $15.0m. That is a considerable drop compared to 'Skyfall', which raked in $35.5m in its third weekend. The difference this time around is that 'SPECTRE' is up against the launch of the final part of the 'Hunger Games' series, whereas 'Skyfall' had no significant new release to battle against in its third weekend. 'Skyfall's third weekend also coincided with the Thanksgiving holiday, but 'SPECTRE' has to wait until next week for that traditional boost. The running total for 'SPECTRE' in the US is $154.1m after three weekends. 'SPECTRE' enjoyed three weeks of international release before facing any serious competition at the box-office, that changed this weekend (Friday 20th November 2015) with the global launch of the last part of the Hunger Games series: 'Mockingjay Part 2'. The 24th James Bond film took an estimated $65.7m from 28,370 screens in 92 territories in its fourth weekend. 'Mockingjay' took $146m from 87 countries in its launch weekend. China brought in $12.8m in its 2nd weekend for a running total of $77.8m. It has now raced past 'Skyfall's total of $59.2m. The British end is firmly up with $130.5m to date and adding $5.9m this weekend from 1,600 screens. Germany fell 42% in its third weekend an added $8.1m from 1,389 screens for a $50.7m cume. Last week, Sony held the French box-office numbers due to the terrorist actions, but France added $5.9m in week two for a $22.6m total (France's opening weekend was $13.0m). Other countries are as follows: Australia - $14.8m cume Netherlands - $14.2m cume (number one for four weeks) German-speaking Switzerland - $9.1m cume (number one for three straight weeks) Korea - $11.3m cume Italy - $12.1, cume Brazil - $6.8m cume Finland - $7.1m (third highest grossing film of all time behind 'Titanic' and 'Skyfall') Middle East- $9.7m (highest grossing Bond film of all time in the region) Denmark - $11.8m (19% up on 'Skyfall' *) Norway - $8.2m (15%) Sweden - $10.7m (5%) Poland $7.6m (28%) UAE- $4.8m (20%) * Due to the exhange rate fluctuation, local currency takes for 'SPECTRE' in Europe and Russia are well up on 'Skyfall', although the reported US dollar amounts make it appear to be closer. 'SPECTRE' stands at a worldwide total of $677.3m after week 4. Weekend Commencing 27th November (Week 5): 'SPECTRE' heading into the Thanksgiving holiday shedding 719 screens as the competition heated up with new releases 'Creed' and 'The Good Dinosaur' - each taking more than $30m in this, their opening weekends. James Bond still took an estimated $12.9m over the holiday weekend (week #4 for 007), a drop of only 14.3% on its previous weekend. Its per-screen average went up from $4,111 to $4,384 due to the lower engagement count. The Thanksgiving takes were as follows: Thursday - $2,677,228, Friday - $5,255,596, Saturday - $5,085,225, Sunday - $2,546,951. That puts the 'SPECTRE' total for the US and Canada at $176.1m. 'SPECTRE' earned $30.4m from 17,483 screens in 93 total markets internationally this weekend, to a gross of $573.5m (approximately $50m for the week). Added to the US and Canada, the global box-office now stands at $749.4m. This week saw an additional $2.3m from 240 IMAX screens to a worldwide IMAX total of almost $50m. 'SPECTRE' has cooled in China under competition from the 'Hunger Games' and local film 'Our Times', but the country's box-office total now stands at $83.4m. Initial industry predictions of a $100m Chinese take may fall short, but the film has already smashed 'Skyfall's $59m total. The British end is still definitely up with a running total of $136.3m. The film dropped 44% compared to last week in the UK. It may have seemed impossible, but by the end of the year, 'SPECTRE' could be within spitting distance of 'Skyfall's total of $161m. Box-office running cumes from other countries as follows (% drop compared to last week): Germany - $57m (down 43%), France - $28.6m (down 37%), Australia - $18.4m (down 38%). In the Netherlands, the film has held its #1 spot for five weeks in a row. It is now the biggest grossing movie of the year. Nearby, in German speaking Switzerland, the film as been #1 for four weeks straight. Weekend Commencing 4th December (Week 6): James Bond slipped to fifth place at the US box-office in its fifth weekend. 'SPECTRE' took $5,523,358 from the weekend, a drop of 57.1% at 2,840 screens (a loss of 100 engagements). The total for 'SPECTRE' in the US and Canada now stands at $184.6m. Realistically, the film has two more weeks as a wide release before 'Star Wars' blows all other films out of the cinema. 'SPECTRE' could end with a $200m take in the US. 'SPECTRE' held its #2 position for a second week at the international box-office, beaten again by the fresh 'Mockingjay Part 2'. 'SPECTRE' wrapped up its sixth week by adding $23.56m from 94 markets across 9,900 screens. The film launched in Japan, its final market to open. Its first three day weekend earned $2.95 from 583 screens. When you add previews, its opening week haul in Japan totals $6.5m. The total in China now stands at $84.5m, but 'SPECTRE's run in the country is effectively wrapped. Back in the UK, audiences dropped 44% for a total to date of $139.7m. After six weeks in release around the world, the International box-office for 'SPECTRE' stands at $607.98m. Weekend Commencing 11th December (Week 7): 007 was at #7 following the sixth weekend of 'SPECTRE' at the US box-office. The film gorssed $4,045,109 over the weekend (a 27% drop on last weekend), bringing its North American haul to $190.1m. 'SPECTRE' lost only 200 engagements to hold 2,640 screens. Internationally, 'SPECTRE' raked in a further $12.9m in its seventh week around the world for a foreign total of $629.8m. Bond held #1 for its second week of release in Japan with $2.3m on 588 screens, for a drop of just 22% on its debut weekend. The Japanese total now stands at $12.5m. Eurpoe is proving strong for the film with Germany only down 28% for a $63.9m total, France dropping 43% for a $34.7m total and the UK losing 37% of its audience for a $141.8m cume. Down under, Australia dropped 20% for a total of $22.7m. The top performing country in Europe is by far the Netherlands, where 'SPECTRE' has now been the #1 flim for seven straight weeks and a total of $18.1m. Combined, 'SPECTRE' has earned $820.6m worldwide. Weekend Commencing 18th December (Week 8): 'SPECTRE' fell to #11 in the USA and dropped more than half of its engagements as 'Star Wars: The Force Awakens' took over cinemas across the world. Predictably, Bond also lost 64% from last weekend for a three day total of $1.4m. It's total North American haul now stands at $193.9m. Audiences in France did not warm to the new 'Star Wars' as much as 007, with the space opera only selling 619,200 tickets in its opening weekend: a distant second to 'SPECTRE' which attracted a national record of 850,297. Over the weekend, 'SPECTRE' earned another $6.7m internationally from 92 markets. Japan added $1.1m from 448 screens in its third week to a total of 15.3m. Back in Bond's homeland, the UK total now stands at $142.9m. China is the second biggest international market with $84.7m, followed by Germany with $65.9m. Weekend Commencing 25th December (Week 9): The end is near for 'SPECTRE' at the US box-office. In it eighth week of release, Bond brought in an estimated weekend haul of $850,000 over the Christmas holiday and fell to #21. With 'Star Wars' and other new releases demanding screens, 'SPECTRE' dropped to 372 engagements over the festive season. When 'Skyfall' was on its eighth week, it earned $4.5m from 1,637 screens. It is doubtful that 'SPECTRE' will break the $200m mark in the USA with its current total standing at $196.7m ('Skyfall' added less than $1m once its screen count fell below 400). In the rest of the world, 'SPECTRE' earned another $5.6m in its ninth week on international release, for an total of $653.9m. Germany fell 24% over Christmas to a total of $67.8m. France increased its audiences by 6% in its seventh week for a total of $37.4m. The Netherlands, where Bond has broken all sorts of #1 records, also increased 6% over the weekend for a total of $19.9m (it fell to #3 after holding #1 for seven consecutive weeks). The UK total now stands at $143.8m. The worldwide box-office for 'SPECTRE' now stands at $850.6m.